Last Saturday at Brainerd Motorsports Park and Sonny Vick hosted the second annual Scenic City Rumble sponsored by Suzuki Yamaha of Dalton, Griffiths Cycles, and Enamel. The roster or riders showed that it was going to be a long day of incredible racing. I could type for hours about every rider who was there, how tough the competition was all day long, and it still would not do it Justice. The track prep was absolutely incredible and bikes were dead hooking from the very first pass on. Bikes were going faster with every single pass. 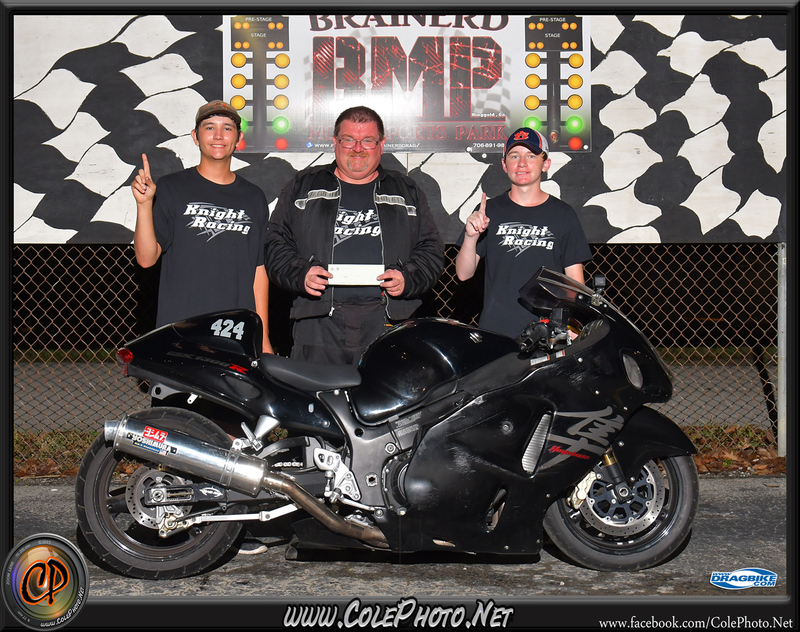 After the National anthem the long-awaited grudge race between local V-twin heroes Brandon May and Crosby Blair took place with $500 put in by both riders. Crosby took May on the tree by almost two tenths. Mays bagger pulled the front wheel about 2’ in the air and had to let out. Crosby finished the pass with a 6.73 over Mays 6.87 to take home the money and the bragging rights. Eliminations began with some killer matchups in street ET. 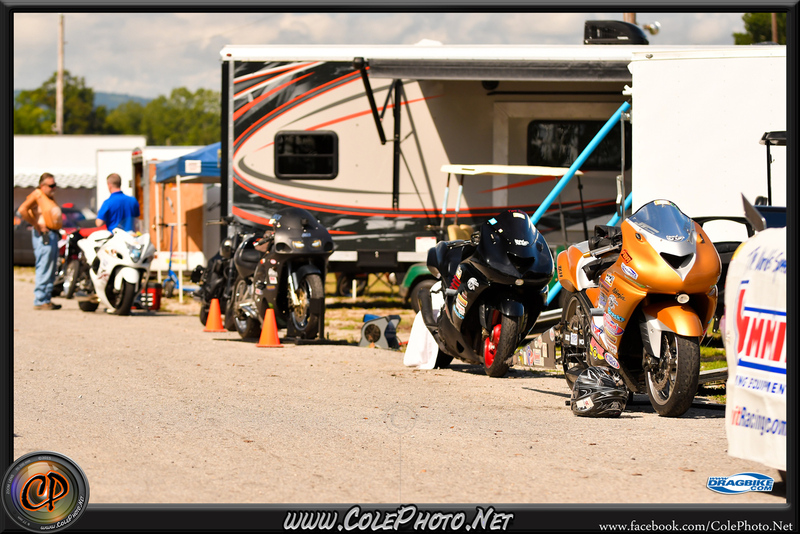 Steven Knight from Baileyton Alabama proved from the first round that he was ready to take on anyone with his foot shifting bone stock Busa. Brian Dale went rounds until taking himself out with a rare red light. 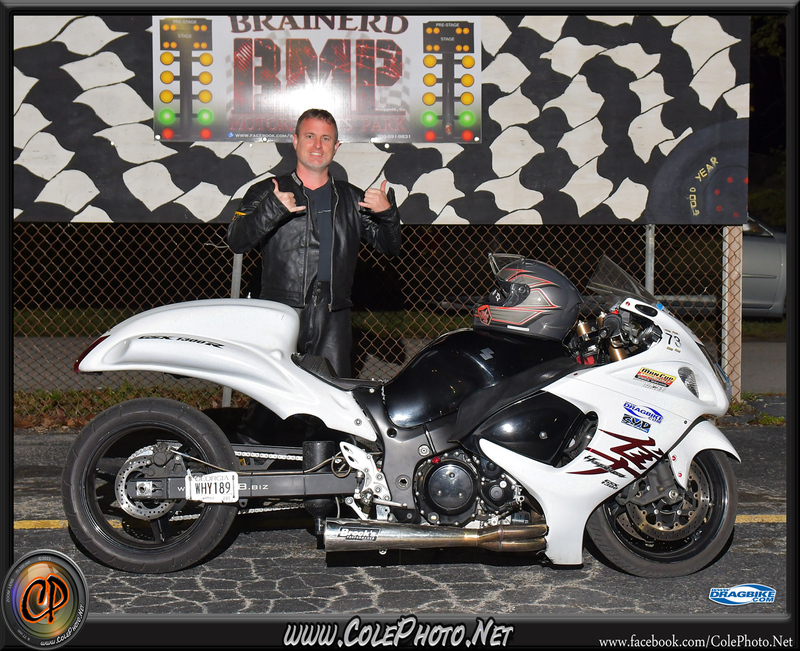 Todd Roberts was a factor to deal with himself on his stock GS1100 out of Nashville. In the end, Steven Knight took the Street ET win and left a happy man. In VTwin Prostreet, first round qualifying saw Brandon May sitting at number 1 qualifier with the bye (6.69), Ricky Wagner Paired up with Crosby Blair, and Kelly Hefner against Rob Howard. In the first round, Crosby took out Wagner as Rob Howards bike broke. Blair would take out May once again to face Hefner in the Finals. In the VTwin finals Blair would make an epic mistake and forget to turn on the nitrous, Hefner took Blair on the tree and ran a 6.80 to Blair’s 7.11 to take the money back home to Illinois. In Pro ET we saw the competitive likes of Brian Dale, Tim Houghland, Brian Baldwin, Marcus Moore, Jerry Turner, Stewart Dollar, and Jamie Millholland just to name a few. As Competition slowly dwindled, we saw win after win from the likes of Brian Dale who would continue on to take the win in Pro ET. 5.90 was not the biggest class by any means but included some of the best racing of the night. 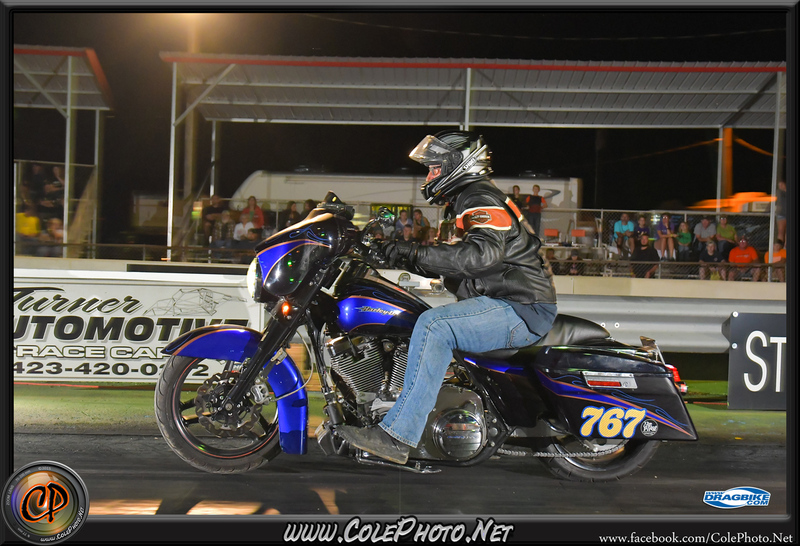 While you don’t see many Hondas in the Dragbike racing realm (Other than Stotz), James Simmons on his JSR racing powered CBR proved to be the man to beat. 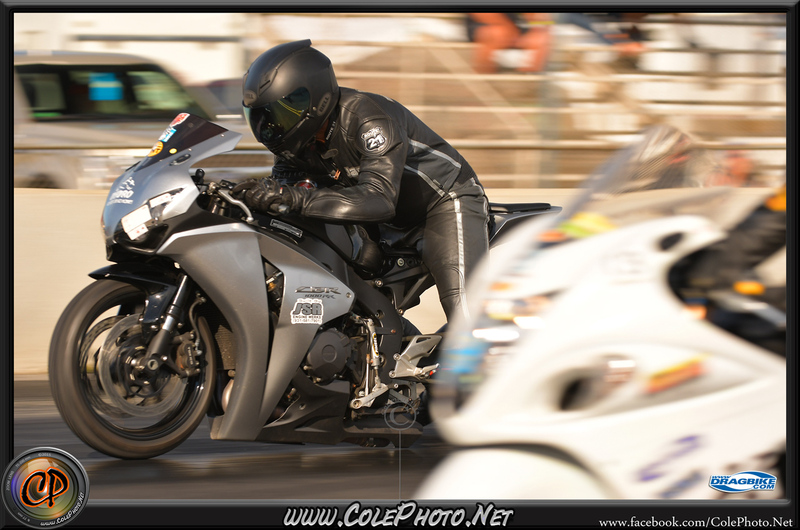 Jerry Turner had his sights set on gold and carried his ZX-14 to the Finals to lineup against Simmons for the 5.90 crown. Simmons would take the win and leave Turner settling for second. Overall, it was a great day and night of racing. 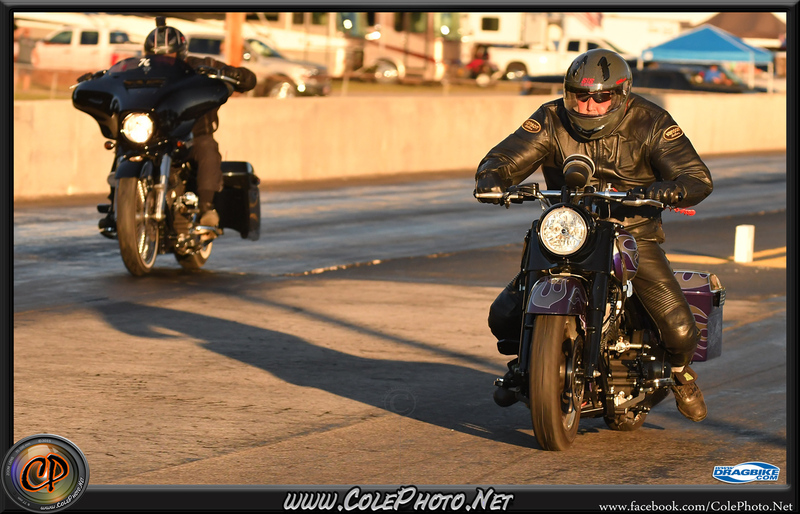 We look forward to putting on two more bike Races at Brainerd Motorsports Park in 2019. Come race with us!